Things are moving along nicely at the Ranch, the future headquarters of the MAC Renovations team. The new space will give us plenty of room for our growing team, and the Design Centre is a convenient spot to see and feel the quality materials available for your renovation. One of the reasons we’ve become Victoria’s Trusted Contractors for home renovations is the strong relationships we’ve created with our trades and subcontractors. We’ve built connections with local professionals over the past few decades, and together we’ve remodelled, reconstructed, and rebuilt many of the homes and neighbourhoods of Greater Victoria. Since many of the projects we take on do not require whole-house construction, it’s not unusual for our client families to be at home during some or all of the renovation, which is why we require our contractors and trades to be properly ‘house-trained’. House-trained means taking pride in their work and clearly caring for the products and materials. It’s maintaining a clean jobsite, a respectful atmosphere, and a professional attitude. It’s little things, like cleaning as we go, and big ones, such as using negative-air units to control dust during demolition and construction. Our crews understand it is a privilege to work with our clients, and together we strive to minimize disruption while maintaining a safe environment. We’re guests in your home, so we – and the people we work with – behave like good guests. 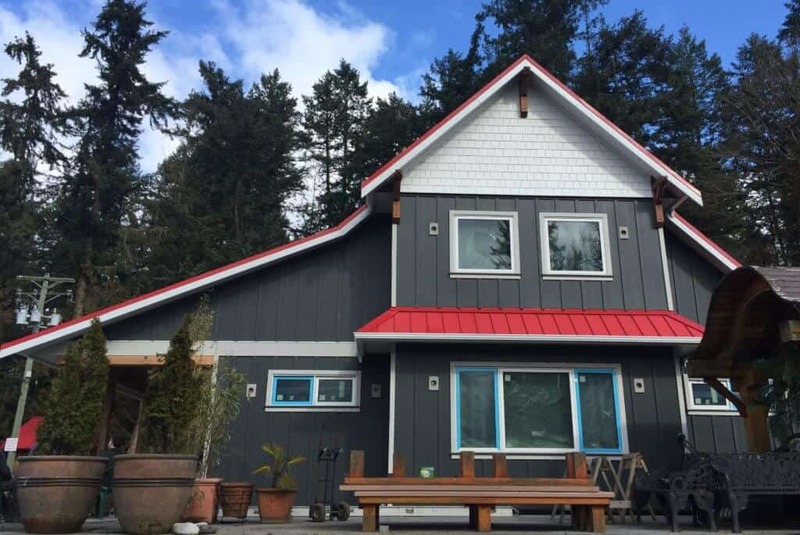 We’ve been doing home renovations in Greater Victoria for over thirty years, and in that time, we’ve developed systems and practices to ensure every project is done well and done right. Clear communication is essential for safety and success, and to help with this, we have created a document that everyone on the project can refer to as needed. The document contains information that’s important to your specific renovation: the locations of the electrical panel, water and gas shutoffs, and lockbox information, as well as potential hazards to be aware of. There’s also information about the nearest hospital, the after-hours emergency contact information for the MAC team, and the locations of the muster station, first aid kit, and fire extinguisher. The document is taped to the front door on every project, so every person, every time, knows where to find it. example, as well as including the name of the nearest hospital, it outlines the fastest route to get you there. It has a full calendar for your project (which you can also find online through BuilderTrend, the software we use to keep you informed on the progress of your renovation), a habitat assessment, and the contact information for your project manager. Between the Red Book, BuilderTrend, and the Emergency Sheet, every person on the extended MAC renovations team knows where everything is, who is responsible for each aspect of the project, and when they should – and shouldn’t – be on site. The Ranch has been designed by Western Interior Design and our in-house interior design experts; , and the work is being completed by the same teams we use for jobs throughout Greater Victoria. The next time you visit the Ranch, you’ll be able to experience the craftsmanship of the local tradespeople in our Design Centre, touching and seeing the quality materials and construction techniques they will use to bring perfection to your renovation. We have many people to thank for the progress at The Ranch, and we’re looking forward to sharing their hard work with you. 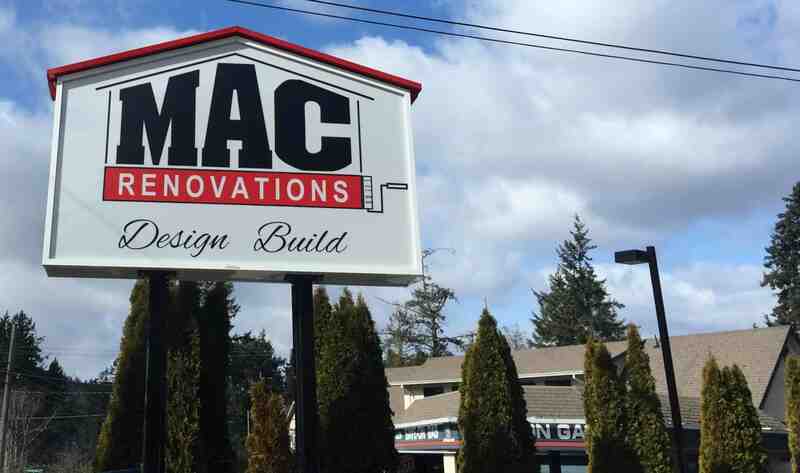 Join us for our grand opening in a few months to meet our extended MAC Renovations family. Follow us on Facebook to be invited to our upcoming open house.